Radiology plays a fundamental role in the diagnosis and management of childhood diseases. This is reflected in both paediatric and radiology post graduate exams, where candidates are expected to have a working knowledge of paediatric pathology, clinical manifestations and appropriate radiological investigations. 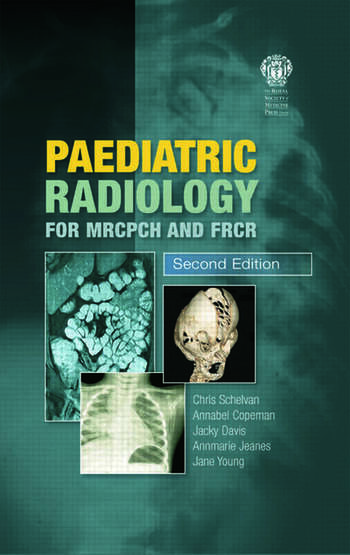 Building on the great success of the first edition, Paediatric Radiology for MRCPCH and FRCR retains the popular preexisting structure of the book, but presents an improved variety of clinical cases as well as updated text in-keeping with advances in medical practice and technology. There is more emphasis on cross-sectional imaging, as candidates are increasingly encountering these sophisticated imaging tests in postgraduate exams. Images have been updated, and all the clinical information has been reviewed and revised accordingly. Uses classic examination images, with salient radiological and clinical summaries of each condition - the "hot lists"
An introductory chapter on the basic concepts of imaging aims to provide the reader with an approach to radiological imaging and an awareness of the different modalities available, with new sections on non-accidental injury and radiation protection.